Ämari Airbase is one of the two tactical military units of the Estonian Defence Forces under the command of the Estonian Air Force. The main tasks are airbase operations and aviation activities organization in the sight of the Estonian Defence Forces. Ämari Airbase was recognized as an Air Force unit on May 15th, 1997. Until 2004 the airbase housed a conscript training facility, but today the base is only staffed with active servicemen and civilian employees. Between 2008-2012 Ämari Airbase faced some major overhaul to modernize the obsolete base infrastructure remaining from the Russian Forces. The construction works were carried out in order to link Ämari into the NATO process to get a collective air defence system. The first NATO's air policing mission started on May 1st, 2014 with 4 Danish Air Force F-16AM fighter detachment. On 30 April 30th, 2015, the Estonian Civil Aviation Administration as a national supervisory body awarded the certificate of "air navigation service provider" to the Ämari Airbase, in compliance with national air regulations. - The Base Operation Centre provides short-term planning of airbase operations, coordinates and supervises the activities and resources of airbase subunits. - The Base Defence Operations Center is responsible for the short-term planning and supervision of the required base defence activities. - The Air Force Training Centre tasks are the training of junior non-commissioned officers and in-service training for the Air Force. 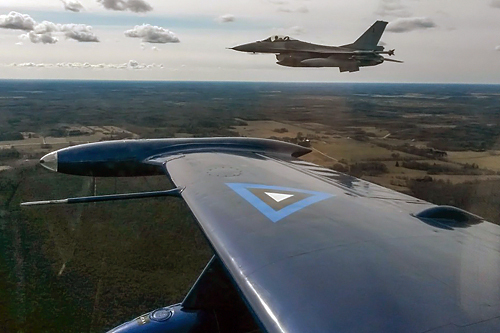 When required, the Air Force Training Centre provides training modules for other services of the Estonian Defence Forces. - The Flight Group conducts air operations and training with the aircrafts at the disposal of the Estonian Defence Forces. - The Airfield Operations Group manages and maintains the air traffic area and is responsible for the air traffic control, flight information, alerting, navigation and meteorology services in the Ämari airfield and its vicinity. - The Air Force Support Group, which provides all of the actual logistic and communication support to the Air Force. In addition to the aviation activities of NATO's air policing fighter detachment and national training flights, Ämari Airbase hosts a large number of aircrafts of allied countries during exercises and deployments. 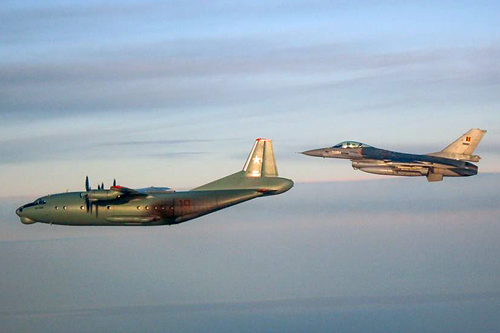 The first larger international exercise was conducted on the airbase in 1997 (Baltic Challenge 97). Another large exercise conducted from Ämari was the Estonian/US exercise Saber Strike. 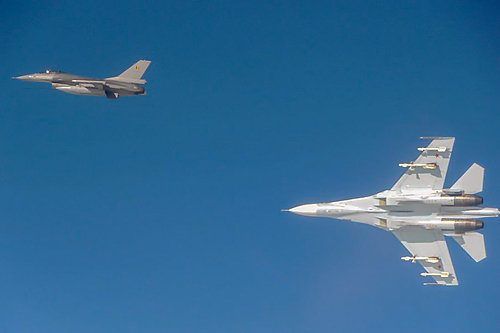 Swedish and Finnish fighters have also visited the airbase during joint exercises with NATO countries. The airbase is also a military transport hub receiving many aircrafts of several countries and is the arrival or departure point for Estonian army units involved in international missions. The Baltic Air Policing is an aerial policing mission within the airspace of the three Baltic countries (Estonia, Latvia and Lithuania) led by the member States of NATO. Since the '70s, NATO is developing an airspace surveillance and management system for the member countries of the alliance. The Combined Air Operations Centers (CAOC) is connected to a radar system allowing a non-stop surveillance to insure aerial security as its main mission. But also to limit violations of the civil aviation code, to assist aircraft in distress or in difficulty and to intervene within the frame of identification, control surveillance or interception measures. The main interventions are due to loss of radio contact where these aircraft are filed as 'with a suspicious behaviour'. Within the security theatre of the Baltic airspace, the operations are managed by the CAOC at Uedem (Germany), responsible until 2013 for the APA 2 (Air Policing Zone 2) and since then for the whole Northern zone. Since the integration in NATO of the Baltic countries in 2004, the NATO countries, having the necessary means at their disposal, ensure the protection of these three countries. At first, these operations were flown from the airbase of Šiauliai in Lithuania and since April 2014 from the airbase of Ämari in Estonia. Each participating country pledges itself to ensure the protection of the Baltic airspace during a four months period. Belgium ensures the protection of the Baltic airspace for the seventh time and was the first nation to conduct air policing duties in 2004. Belgium was again involved in 2006, 2013, twice in 2015, 2016 and now in 2017. Until now, 17 countries of the Alliance participated in this aerial surveillance mission (see table). Since September 4, 2017, the Air Component dedicated four Lockheed F-16AM Fighting Falcon to the Baltic Air Policing (BAP) mission at the Ämari airbase in Estonia. The 24/7 state of alert is a peacetime routine and all the NATO air forces are contributing to protect the airspace of the Alliance. At the beginning of September, a hangar at the Ämari airbase, located about 20 kilomters from the capital Tallinn, was the setting for a change of command between the Ejercito Del Aire (Spanish Air Force) and the Belgian Air Component. During this ceremony the Estonian Secetary of State, Kristian Prikk, took leave of the Spanish forces before welcoming the Belgian detachment. The Secretary of State also emphasized that "the presence of the NATO in Estonia has never been so important as today. The asserted presence as an air policing asset represents also an essential NATO deterrent element on its east flank". As Latvia and Lithuania, Estonia has no air force capable of ensuring Quick Reaction Alert (QRA) missions and that is why these countries rely on the back up of its NATO partners. 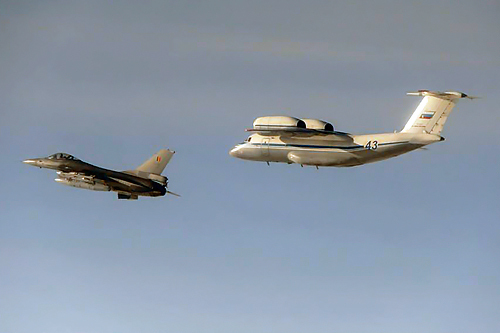 The operation for the Belgian pilots in Estonia is quite similar to the QRA missions, aimed at the interception of non-identified aircraft, flown in the Benelux airspace. 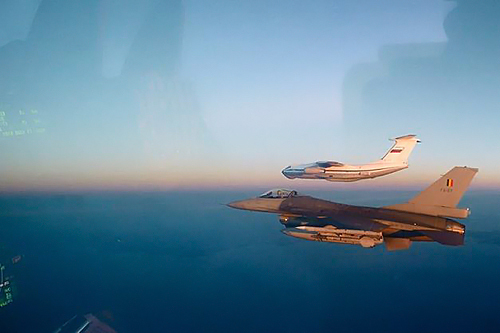 When an unknown aircraft threatens to overfly the Baltic States, two aircraft can take-off in 15 minutes, day or night to intercept the intruder. To accomplish these missions, the Belgian detachment is made up of about 50 military comprising aircraft technicians, air traffic controllers as well as mission planners. Some of them ensure a 24/7 watch near the aircraft, as to always be ready when requested for (2 pilots, 2 technicians, 2 firemen and 1 mission planner). 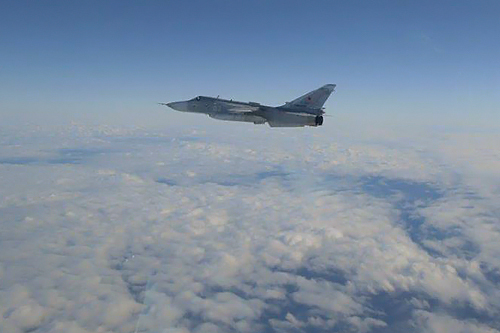 In 2004, our country carried out the first air policing mission overhead the Baltic which initially was limited. 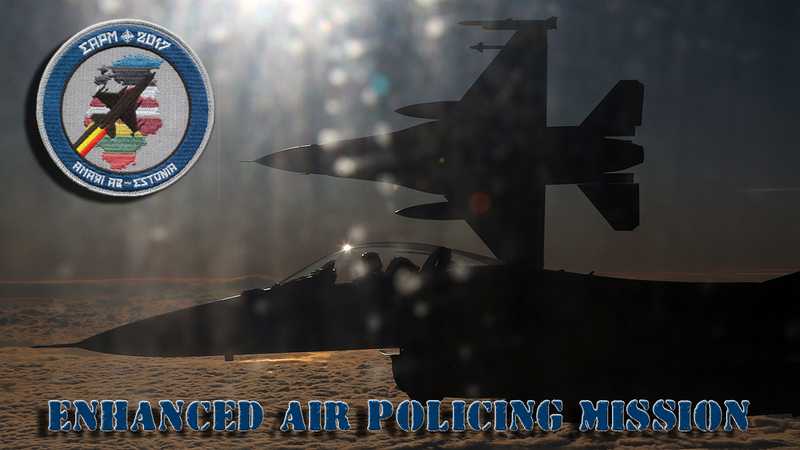 Following the stepped-up tensions in Crimea as well as on the Northern NATO borders, the Alliance increased this engagement under the name Enhanced Air Policing Mission (EAPM). Besides the Belgian aircraft, NATO has at its disposal a fleet of combat aircraft hosted on various airbases in Poland, Norway, Estonia and Lithuania. Since the beginning of the BAP mission in 2004, the NATO CAOC, located at Uedem (Germany) has authority on all the aircraft involved in the protection of the Baltic airspace. As such the fighter aircraft benefit from a complete aerial view, thanks to the information sent by the military and civil radars situated to the North of the Alpes. 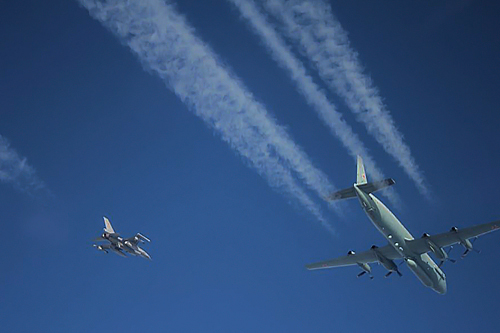 An aircraft 'crossing the line' has all the chances to receive the visit of a NATO aircraft. The operation Enhanced Air Policing Mission is actually in the hands of the Belgians for four months. This period is divided into two parts with the 10th Tactical Wing taking the first lead part in September and October and the 2nd Tactical Wing from October until the end of the deployment. Noteworthy is the fact that the responsibility of the command is no synonym to the personnel involved. Indeed, the contingent is a mix of various Air Component units based centered on the necessary specializations to accomplish the missions. The job of protecting the Baltic airspace in peacetime is absolutely not a response to the actual situation, being the increased and tangible tensions with the Russian block of Mr Putin. In fact, during the month September, a big Russian exercise was held on the other side of the border (ZAPAD 2017), but did not bring any additional NATO assets into action, apart from a little increased surveillance. Within the frame of this exercise, there was an increase of Russian traffic towards the Kaliningrad enclave which gave an increase in interventions. The statistics however show a certain stability regarding this number of interventions, with the main schedule being from Monday to Friday between 0900 and 1500. But now and then there is a little surprise as the interception of a Flanker on a Sunday. 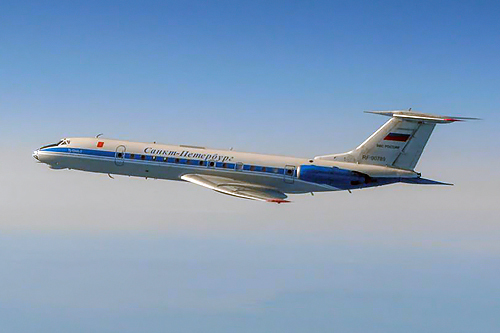 Regarding the types of intercepted Russian aircraft, they are mainly fighter aircraft like the Flanker (SU-27 and its derivatives) but also transport aircraft, "spy" planes and strategic bombers (quite often escorted). 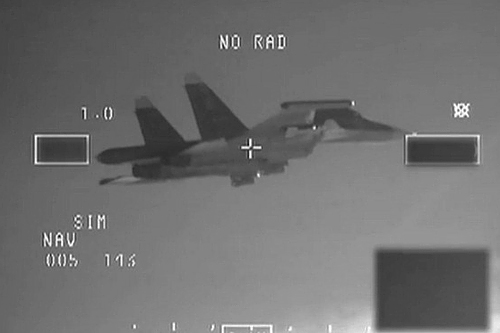 No particular attempts to be mentioned during these interceptions; but sometimes a Russian pilot affirm a little more harshly his protection mission as during an intercept of a TU-22M Backfire. When the Belgian pilot took a picture of the bomber for his report, the protective Sukhoi came surreptitiously (at high speed) between them and the Belgian pilot accidentally had him on the picture too. During the deployment, aside from the real Interceptions Alpha, the Belgian team proceeds also to training missions, Interceptions Tango, as to perfect the reaction time for the QRA, which must have taken off within 15 minutes after the alarm. 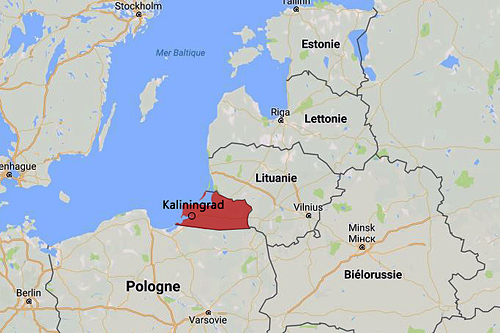 The intense Russian air activity along the borders of the Baltic countries is mainly due to the geographical location of the Kaliningrad enclave (formerly Königsberg). This enclave of some 15,125 km2 belongs to Russia since the Second World War, but the accession of Lithuania, Latvia and Estonia to the NATO treaty, has made that the enclave has no more border with the mother country Russia, obliging all the transits via the Baltic Sea or the international airspace. 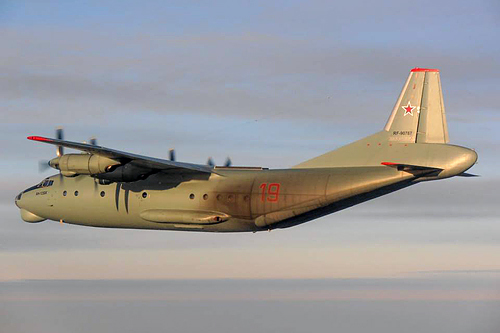 Most of the military transport flight (very often escorted by Sukhoi fighters) departed from Sint Petersburg to join the 4 Russian Naval air stations located around Kaliningrad (Chernyakhovsk airbase, Chkalovsk airbase, Donskoye airbase or Khrabrovo airbase). 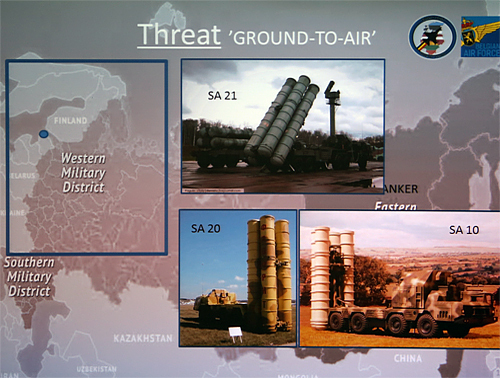 In addition of this geographical situation, the installation of missile batteries (Iskander-M (NATO code name: SS-26 Stone) Short range ballistic with nuclear capacity - S-400 Triumph (NATO code name: SA-21 Growler) Anti-aircraft Medium and long range - Pantsir-S1 (Code Otan : SA-22 Greyhound) Anti-aircraft Short range) near Kaliningrad has somewhat "envenomed" East-West relations. 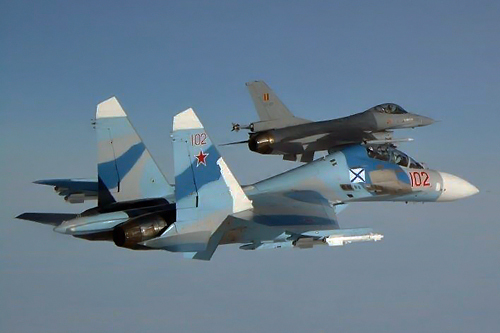 Since 2004, NATO has decided to set up the Baltic Air Policing missions to show the Soviet Forces in the region the permanent presence of NATO through the signatory countries of the Treaty. Moreover, the Russian organize regular large exercices along the borders like in Sepetember with the "ZAPAD 2017" exercice with more than 100000 troops deployed in cooperation with Belarus Forces. As to have an oversight of the missions on the terrain and witness the Belgian participation on the Estonian scene, the Air Component organized a press visit to the Ämari airbase on November 21st. 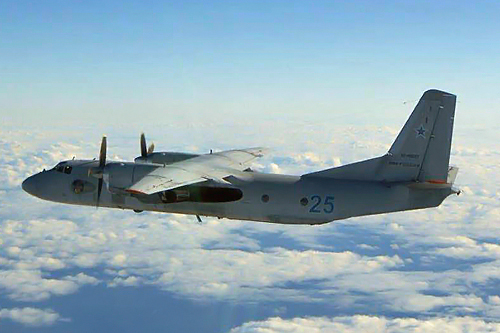 The flight from Melsbroek to Ämari was intercepted by the QRA, to visualize the action in the Baltic region. Afterward there was a press conference, a visit to the detachment and to conclude this journey, an Interception Tango to be able to evaluate the necessary timing between the sounding of the alarm and the take-off of the fighters. All this gave a good insight of the know-how of the Belgian Air Component and the commitment of everyone involved in the mission.